The publications have been sent out to all members of FIG together with the minutes from the General Assembly 2018 and are awailable online. The publication is written by Chair of FIG Africa Regional Network and FIG Vice President Diane Dumashie. This publication presents the aim and objectives of the Africa FIG Regional Capacity Development Network (ARN) over an 8 year period, with a focus on the activities undertaken during 2015–2018 incl. the outcome of the three workshop activities over the period 2015- 2018. African member associations collaborated with the ARN to deliver three workshops. Each of the workshops focused on a specific theme relating to the future challenges of Africa land professional community. In this regard, the Regional Capacity Network and FIG Council are grateful for and appreciates the logistical support provided during 2015–17 by the three FIG Member hosts: Kenya Institution of Surveyors, De L’Ordre des Geometres- Experts de Cote d’Ivore / Fédération des Géomètres Francophones and INES-Ruhengeri Institute of Applied Science. Publication 71 has been written by FIG Commision 10. Main author is Chair of Commission 10 (2015-2018) SeeLian Ong. The construction industry is estimated to grow rapidly over the coming years. The role of Quantity Surveyors, or Cost Engineers or Construction Economists is becoming important to ensure that the project cost are measured and monitored professionally to ensure value for money for the stakeholders. 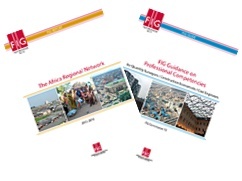 It is with this in mind that FIG Commission 10 has developed and publish this Guidance for Professional Competencies for Quantity Surveyors / Cost Engineers / Construction Economists. It is the object of the Guidance to help us to train these professionals so that they have the right competencies to undertake the tasks given to them. The Guidance can also be used by institutions of higher learning to develop programme or courses at both undergraduate and post-graduate levels.